Having diarrhea is an unpleasant experience for anyone, but if you suffer from persistent or intermittent bouts of diarrhea after eating, it can make mealtimes a stressful event. You may find it hard to enjoy a meal because of worrying that it will be followed by “the runs.” In fact, the stress itself may also cause diarrhea to become worse after your meal. Some of the possible causes for having diarrhea episodes after a meal, or “postprandial diarrhea”, are a viral or bacterial infection, lactose intolerance, food poisoning, and even stress. If you suffer from a chronic condition like irritable bowel syndrome, Celiac disease, or have had gastric bypass surgery, you may also frequently experience loose stools immediately after eating your meal. The first symptoms of diarrhea may be stomach cramps or abdomen pain after eating. This can occur anywhere between a few minutes and a few hours after finishing your meal. The stomach pain is often followed by having to run to the bathroom. Thankfully, there are many natural treatments to ease the symptoms of diarrhea after eating which can help you find needed relief and, in cases of chronic diarrhea (constant diarrhea), help manage your symptoms. Let’s look at some of the most common reasons why eating can sometimes cause diarrhea and what natural remedies are available to get rid of the symptoms. A very common cause of experiencing diarrhea after finishing a meal is food poisoning. Food can become contaminated at any point during the transportation and production process. Bacteria, viruses, or parasites in contaminated food can infect a person if they are not killed during the cooking process or if a person eats uncooked food. Live yogurt is an excellent remedy to get rid of diarrhea that has been caused by food poisoning. Live yogurt contains live active cultures (probiotics) which can help to calm your stomach and restore balance to your digestive tract. If you start to have stomach cramps after eating, eat a few spoons of live yogurt to try to prevent diarrhea. Viral gastroenteritis causes diarrhea (sometimes greasy diarrhea), vomiting, and stomach pain. Bacterial gastroenteritis also causes the same symptoms, but according to MedlinePlus, you may also have blood in your loose stools.3 Because the symptoms can appear between 4 and 48 hours after becoming infected, you could find that after eating you experience diarrhea. It is very easy to make a cup of refreshing ginger tea to calm your stomach and treat your diarrhea. Take a 1-inch piece of fresh ginger root and chop it into small pieces. Put this in a cup, pour boiling water over it, cover the cup, and let it infuse for 5 minutes. Drink the ginger tea after finishing your meal to prevent and treat the symptoms of diarrhea. Severe gastroenteritis can also cause constant vomiting which can lead to throwing up bile and dry heaves. Gastroenteritis is also one of the causes for having extremely smelly farts. If you suffer from frequent episodes of diarrhea after eating a meal you could suffer from food intolerance or a food allergy. If you think that the cause of your diarrhea after eating food is because of an allergy or intolerance, it’s important to identify the trigger and eliminate this from your diet. Strain the carrot soup to remove any fiber from the carrots. If you are under stress and experience diarrhea after you finishing eating, you should try to make some lifestyle changes to manage your stress better. You can find out some natural ways to reduce stress in my article about effective natural remedies for stress and anxiety. To get rid of diarrhea that is caused by stress you can drink some soothing chamomile tea which has properties that can help calm the mind and stomach. A study published in the Journal of Ethnopharmacology showed that chamomile extracts have antidiarrheal properties and can help to treat bouts of diarrhea.7 Its calming effect on your mind can also help you to relax, thus helping your digestive system to be calmer as well. If you suffer from Irritable Bowel Syndrome you may experience severe diarrhea after every time you eat a meal. Doctors aren’t sure what exactly causes IBS but it could be a combination of some underlying medical problems that cause chronic digestive upset. Peppermint is a natural ingredient which can help to calm the muscles in the colon and relieve diarrhea and abdominal discomfort that IBS sufferers have. Studies have shown that taking 200 mg enteric-coated peppermint oil capsules can help to alleviate diarrhea symptoms in people with IBS.9 Peppermint is just one of the herbs that are effective in relieving the symptoms of IBS. Manuka honey is another effective natural remedy to relieve diarrhea that is due to IBS. To find out more about the health benefits of Manuka honey, please read this article. If you eat foods with gluten in it, you may experience regular diarrhea after eating foods containing wheat, rye, or barley if you have celiac disease. Celiac disease triggers an abnormal immune response in your body and makes the body unable to absorb nutrients from food. It is important to visit your doctor if you think that you may be suffering from celiac disease as it is necessary to get a proper diagnosis before treating your symptoms. You may have persistent or occasional diarrhea after eating a meal due to inflammatory bowel disease. IBD is an inflammatory condition in any part of the digestive tract. Depending on where the inflammation occurs it can be called ulcerative colitis or Crohn’s disease. The other symptoms of IBD are fever and fatigue, abdominal cramps after eating, blood in your stool, mucus in stool, reduced appetite, and weight loss. If you have had gastric surgery, you may suffer from “dumping syndrome.” This happens when solid parts of food go directly from your stomach to your small intestine. It can cause you to have severe diarrhea about 30 minutes after you have finished your meal. Dumping syndrome can also cause bloating, nausea, sweating and dizziness. The NHS in the United Kingdom says that BAM can be a result of IBS, Crohn’s disease, or radiation treatment. In fact, any kind of bowel disease can cause diarrhea immediately after eating. However, in many people, the cause of BAM is unknown. Effect of a fermented milk combining Lactobacillus acidophilus and Lactobacillus casei in the prevention of antibiotic-associated diarrhea. Stress and the sensitive gut. Antidiarrheal and antioxidant activities of chamomile. 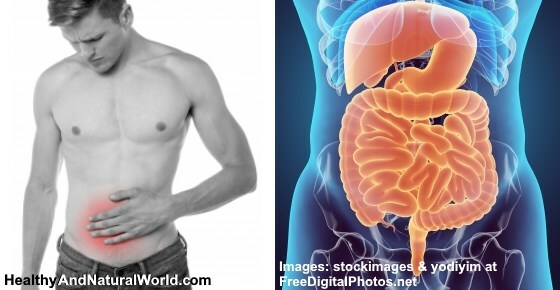 Symptoms and causes of irritable bowel syndrome. Medical management of patients after bariatric surgery. Management of bile acid malabsorption using low-fat dietary interventions. Food Allergy, or Something Else?